Sometime users from different regions are using the Word. and their languages are also different. 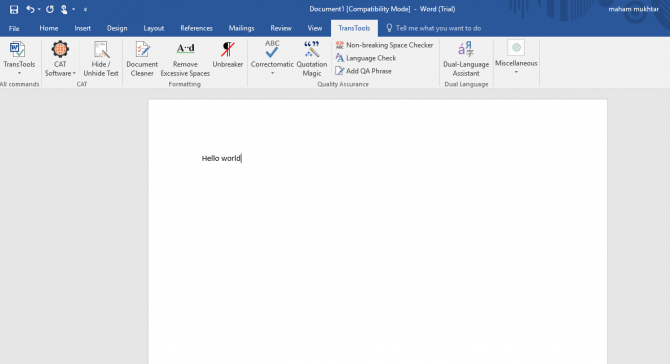 so, when you send the document in your language but receiver needs it in his language so now anyone can have Word document within his language. apply below handy steps to translate our required text or any document into particular language. It becomes a lot easier if we are able to translate a document within the document itself. This can be done using Microsoft Word, PowerPoint and Excel. 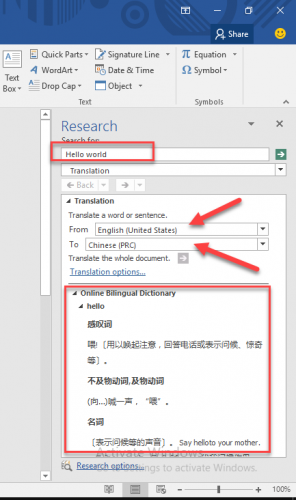 The translator plugin of MS Office now provides you easiness in translating your any selected text within a file or document into any language. What you have to do is first select the part of text you want to translate and then translate it with translation plugin of any required language. And you can also replace the translated text with original text. If you have Microsoft Office 2016 installed, chances are that you already have this plugin installed. So look for the option first and then download the plugin if the option is not available. If the option is not available, you may download the plugin from below link. After the plugin in installed, you can start the translation of text within your file. Select the text you want to translate. And Right Click on it and from the list select the “Translate” option. And then on very right hand side, a window will appear, that contains the text which you want to translate and in which language it is already. And then there is option for select the language in which you want to translate the text. When you click on “Go“ arrow, the result will shown you in your selected language. So, by this simple and easy step you can translate any text you want to translate in any language. 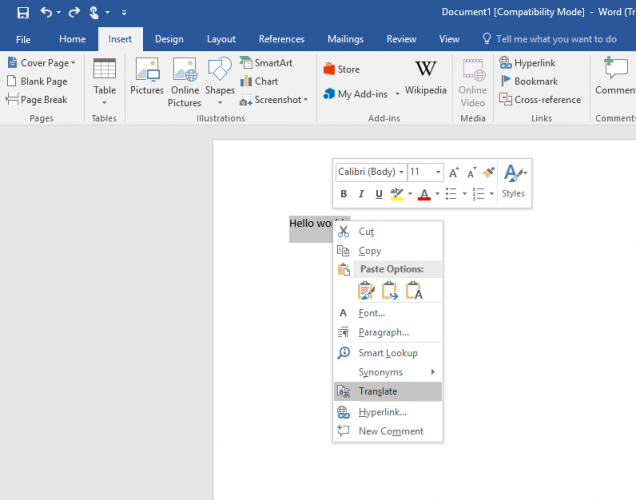 Same feature is available in Excel and PowerPoint. If you don’t find it in the right click context menu, you can go to Review –> Translate. This is another valuable Add-In, which can provide you many commands to make your document more informative and useful. When you download it, a new option of TransTools will be added in top bar of Word file. It basically has 3 commands for Formatting that the document cleaner, Un-breaker, Find and Replace excess spaces. And it also provides Quality Assurance of documents. This checks Spelling mistakes, Grammar mistakes and Language Check etc. CAT Software commands also added which hide/unhide data while adding it to CAT tools. The TransTools can also made document into dual language documents. So just make your document more applicable and handy by using these two Add-Ins. These are very effective and convenient Tools that gives extra functionality to your document.